Product information "Roberts Stream 67 Smart HiFi Audio System"
The Stream 67 is a sophisticated Smart Audio system that delivers exceptional room-filling sound in an acoustically-tuned wooden cabinet. Stream playlists using Bluetooth or via built-in streaming services including Spotify Connect, Deezer, Amazon Prime Music, or TIDAL. The Stream 67 Works with Alexa, so you can control and enjoy your music simply by giving voice commands to your Echo device, such as "Alexa, play the Rolling Stones on my Stream 67". The Stream 67 plays CDs, music stored on USB stick, and you can stream music from your PC/Mac/NAS via your home WiFi network. 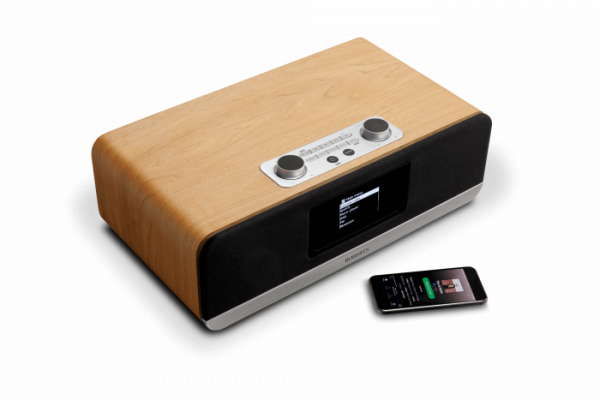 Built-in DAB/DAB+/FM gives you choice of UK radio stations, whilst Internet Radio enables you to access thousands of radio stations and podcasts from around the world. With two mid-treble speakers and two bass speakers with ported chambers the Stream 67 packs a punch with its superior sound quality. Plus, the Stream 67 can be used as part of a multi-room set up. Related links to "Roberts Stream 67 Smart HiFi Audio System"
Customer evaluation for "Roberts Stream 67 Smart HiFi Audio System"